If you've ever been to a yoga class at one of the Sivananda Ashrams or Centers around the world you probably remember the opening and closing prayers that the teachers chant at the beginning and at the end of each yoga class. I have tried to find the text of these prayers online but somehow this has proven quite difficult so I decided to write them down and include them here for anybody who might be interested in learning them. I've also included some videos that I've found in YouTube with the recording of these prayers. 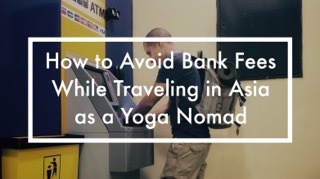 I'm sure this will be very useful for both, yoga teachers and yoga students. I know, I know, the Sivananda opening prayer can feel quite long so additionally I've included a very short mantra that is commonly used before any yoga class. The closing prayer can also be shortened. It is very common to use any of the last three mantras to end a yoga class. It doesn't matter which yoga tradition or lineage you follow, if you are either a yoga teacher or a yoga student you can use any of these mantras to start and end a yoga class or for your own yoga practice. In the Sivananda tradition, at the beginning of any yoga class, lecture or personal sadhana the practitioner chants the Dhyana Slokas. "The Dhyana Slokas helps to tune the mind to the Divine in its different aspects. It makes us feel like instruments, and helps to remove the tamasic-rajasic ego. Divine guidance is necessary for any sadhana to be successful. Namāmi Vigneshvara Pāda Paṅkajam I prostrate myself before the lotus feet of Vigneshvara (Ganesha), the son of Uma, the cause of destruction of sorrow, who is served by the host of Bhuta-Ganas (angels etc), who has the face of an elephant, who partakes of the essence of kapittha and jambu fruits. Guham Sadāham Sharaṇam Prapadye I always take refuge in Guha of six faces (Subramanya), who is of deep red colour like kumkuma, who possesses great knowledge, who has the divine peacock to ride on, who is the son of Rudra (Siva), and who is the leader of the army of the Devas (gods, angels). Niśheṣha Jāḍyāpahā May that Goddess Saraswati, who wears a garland white like the Kunda flower, the moon and the snow, who is adorned with pure white clothes, whose hands are ornamented with the Vina and the gesture of blessings, who is seated on a white Lotus, who is always worshipped by Brahma, Vishnu, Siva and other Gods, who is the remover of all inertness and laziness, protect me. Śrī Viṣhṇu Devānandāya Te Namaḥ Salutations to Guru Siva (Sivananda) who is the embodiment of Existence-Knowledge-Bliss Absolute, in whom worldliness does not exist, who is ever peaceful. Salutations to Sivananda, Salutations to Swami Vishnu Devananada. Narayani Namostute I salute the three-eyed Divine Mother Narayani, who brings auspiciousness and who fulfills all the desires of the Devotee (both spiritual and material). In the first 20 seconds of this video you can hear the recitation of this shanti mantra. I recorded this video while I was following some vedanta classes at the Swami Dayananda Ashram in Rishikesh, India. The closing prayer at the Sivananda ashram starts with the Maha Mrityunjaya Mantra (Om Tryambakam...). You can read more about this mantra and about my experience when I heard it for the first time in "Mantra Chanting for Health, Wealth and More." Sarvesham Mangalam Bhavatu Om - May auspiciousness be unto all. May peace be unto all. May fullness be unto all. May prosperity be unto all. Ma Kash-chid-Dhu-khabhag-Bhavet May all be happy. May all be free from diseases. May all look to the good of others. Mrityor Maamritam Gamaya Lead me from the unreal to the real. Purnameva Vashishyate Om - That is whole. This is whole. From the whole the whole becomes manifest. what remains is again the whole. My dear friend +Lakshya E., a yoga and vedanta teacher residing in Dubai, has made the following video teaching the correct pronunciation of the third mantra "Sarve Bhavantu Sukhinah..." that can be chanted independently at the end of a yoga class. 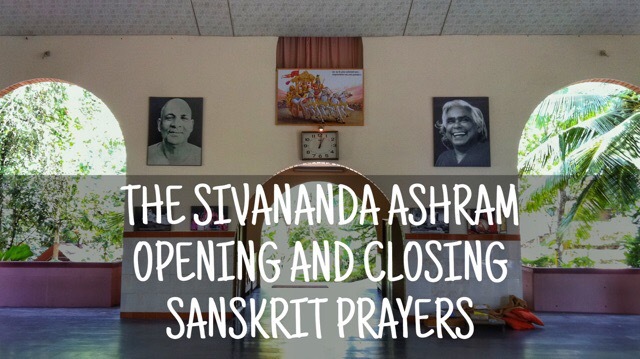 I hope you'll find this information useful to learn the Sivananda Yoga opening and closing prayers and to use them for your classes or for your personal practice. 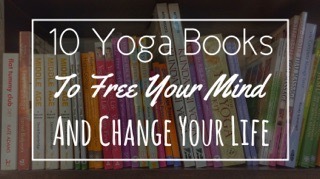 Please feel free to share this post with your yoga buddies or with your yoga students. Thank you so much for these wonderfully pronounced mantras! Thank you sarve bhantu niramayah ! Thanks so much for the detailed information, very much appreciated! Thanks Marco! I have to find a Sivananda teacher in Melbourne. 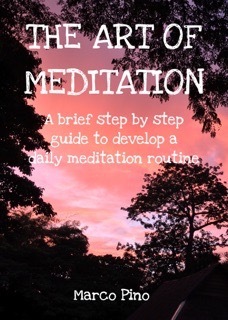 I am considering doing the one month intensive YTT with Sivananda. Have you been to any of the international ashrams beyond India? Thank you for this! Om shanti.